In spring 2005 a memorial should have been installed at the site of the mental home in Koscian, near Poznan (Poland). 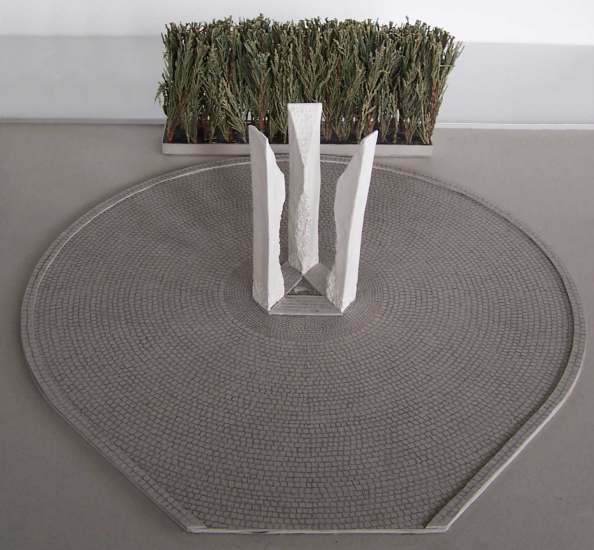 Responsable for this important project is the Social Committee for building a Monument for Victims of the Nazi Pseudo-Euthanasia in Poland. The monument consists of three granite pillars (3.5 m high). They shall symbolize the three nationalities of the pseudo-euthanasia victims (Jews, Germans and Poles). The chosen granite is called "KURU GREY", a very famous granite type. The stones are donated by KAPEEN KIVIPOJAT COMPANY, Finland. Between the granite pillars three granite plaques will be installed, with inscriptions in Polish, German and Hebrew. 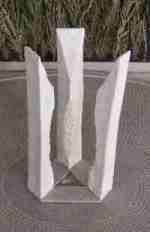 The inscriptions will be sculpted as soon as the Polish embassies of Germany and Israel agree. This new monument is designed by Magdalena Grys (student of the Academy of Fine Arts in Poznan), supported by Academy Prof. Janusz Stankowski. A. Hojan and J. Szygula, via the ARCFI secretary. The erection of the memorial is delayed because of lack of financial support!